Moonshine is typically the term used for illegally distilled spirits from back in the days of prohibition. While we are far removed from that, it certainly is still possible to make illegal moonshine as home distilling, unlike home brewing, isn't exactly legal. There are at least a couple good reasons for this aside from being anti-booze. Distilling is significantly more complicated and dangerous than brewing. The alcohols produced are flammable if not combustible, and methanol is pretty much poison so it takes some skill to separate the ethanol (what you want to drink) from the methanol (finger nail polish remover). The old legend about moonshine making you go blind... well, that's because somebody didn't know how to cut the heads and tails of the distillate properly. These days, the word Moonshine is used for commercial production just like White Lightning. It essentially refers to unaged whiskey, or spirits made from grains that have not sat in barrels for years. It goes straight from the still to a bottle, and therefore the name moonshine still fits. It doesn't have to bootlegged or made illegally anymore. 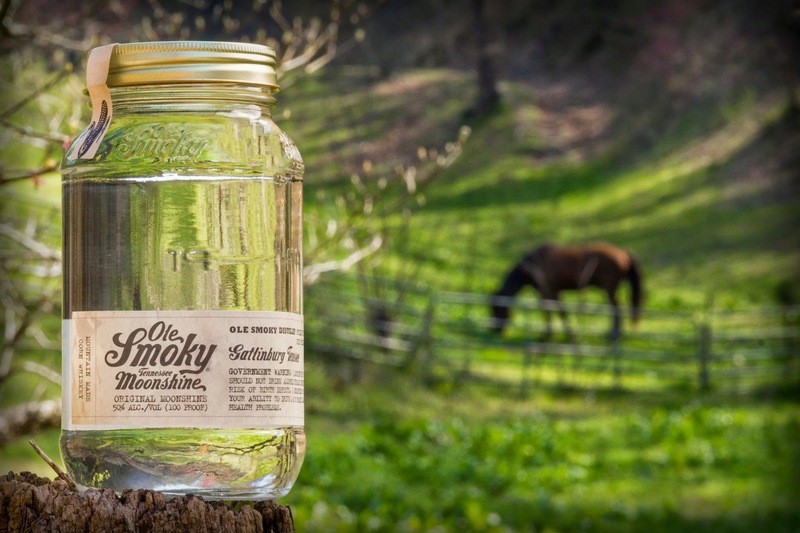 For example, Ole Smoky Tennessee Moonshine legally makes quite a few flavored moonshines in addition to their original. And since the Kentucky Derby is coming up on May 3rd, I figured I'd share a Moonshine Mint Julep recipe with you! In a mason jar or silver julep cup muddle two sprigs of mint with simple syrup and 1 ounce of Ole Smoky Original Moonshine, until mint leaves are crushed and give off their liquid. Add remaining moonshine and serve over ice and with a sprig of mint.